The discovery, published in New Phytologist, could be used to produce frost-resistant crops, which would save the agricultural industry millions of dollars every year. The researchers say the new finding could prevent the impact of significant weather events, such as record low temperatures in the Wheatbelt this year, which wiped out a million tonnes of wheat. Dr. Nicolas Taylor from UWA's School of Molecular Sciences and the ARC Centre of Excellence in Plant Energy Biology (PEB) said that as the climate changes it is becoming increasingly important to understand how plants respond to temperature. "In our study we observed plants in near-freezing conditions and saw there was a decrease in the production of ATP, a plant cell's main energy currency, which led to reduced growth," Dr. Taylor said. "Based on a number of international studies it was previously thought that other components of energy production were more sensitive than this enzyme, however we were surprised to identify ATP Synthase as the culprit." 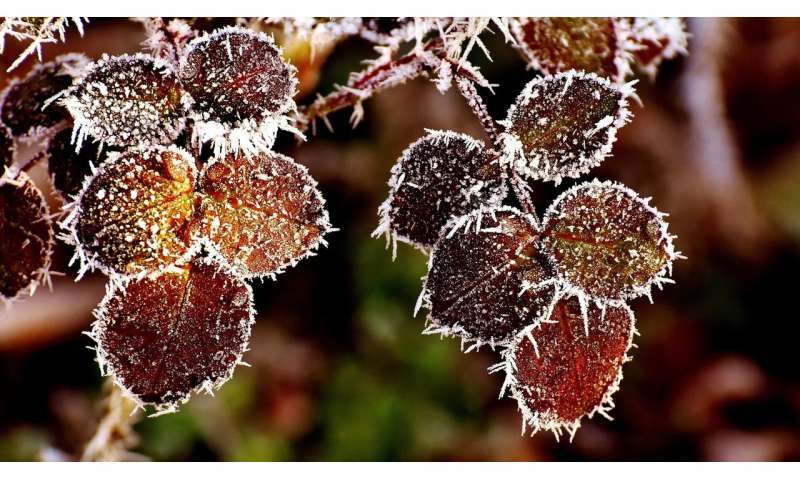 Dr. Sandra Kerbler, from UWA and PEB said the benefits of understanding a crucial enzyme for energy production being so sensitive to cold was of great use to the agricultural industry and to the future of producing frost-resistant crops. "The research has changed previous thoughts of how plants cope with temperature stress and has highlighted new angles for investigation," Dr. Kerbler said.